Having a will in place plays an important role in estate planning. It saves time in probate proceedings, ensures your final wishes are conveyed, and allows you to specify which of your loved ones and friends benefits from the property and assets that comprise your estate. However, simply drafting a will on your own and not seeking professional legal guidance in creating it could open it up to controversy in the courts. The following are five common reasons why a will may be successfully contested. At the time of your death or the death of a loved one, a will provides the name of an executor. This is the person you chose to act as estate administrator, responsible for submitting the will to the New York Probate Court, settling your estate, and distributing your assets. While having a will in place helps to prevent your property from being distributed according to the rules of intestate succession rather than according to your wishes, it only functions to protect you and your beneficiaries if it is legally valid. The will fails to conform with state laws. In New York, in order to be valid your will must be in writing and signed by yourself, along with two witnesses who preferably do not stand to benefit from it. The person creating the will lacked legal capacity. If the person was seriously ill, suffering from a condition such as dementia, or was under the influence of alcohol or drugs at the time of signing, the will could be declared invalid. The person was unduly influenced into creating a will. There are cases in which people prey on the elderly, the infirm, or people with otherwise failing health. 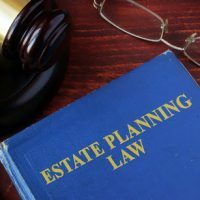 They may unduly influence the person to disinherit loved ones so that they can benefit from the property and assets in the estate. The person creating the will was a victim of fraud. Lying, omitting crucial facts, or otherwise misrepresenting a situation involving a will could be considered fraud. In addition to potentially resulting in criminal charges, this is also reason for a will to be contested. Whether you are creating or will, have concerns about the validity of the will you currently have in place, or feel a loved one’s will may be invalid, the attorneys at Cavallo & Cavallo are here to provide the professional legal representation you need. To discuss your options, reach out and contact our New York estate planning attorneys and request a consultation in our Bronx or New Rochelle office today.